This giveaway will end March 24th at Midnight EST. Disclaimer: As a member of the Purex Insiders, the Being Frugal and Making it Work family received a complimentary Dial Deep Cleansing Liquid Hand Soap for the purpose of writing a review and hosting a giveaway. Regardless, I only recommend products or services I would use personally and/or believe will be a good fit for my readers. The views and opinions expressed on this blog are based purely by our own experiences. No monetary compensation was received. Results may vary. I would like to try all the Hello Kitty line products that Dial makes. I think they would make my bathroom look pretty with hello kitty pink. I would like to try the Vitamin Boost Body Wash also. It looks like a great product. All the scents look great, but I would like to try the Coconut Lime Verbena first. I like the water blossom,i think that it will smell good. They all seem like great scents. I think I would like to try the Coconut Lime Verbena scent the most. I would like to try the coconut lime verbena. Thanks for the chance. I want to try the coconut lime verbana hand soap. 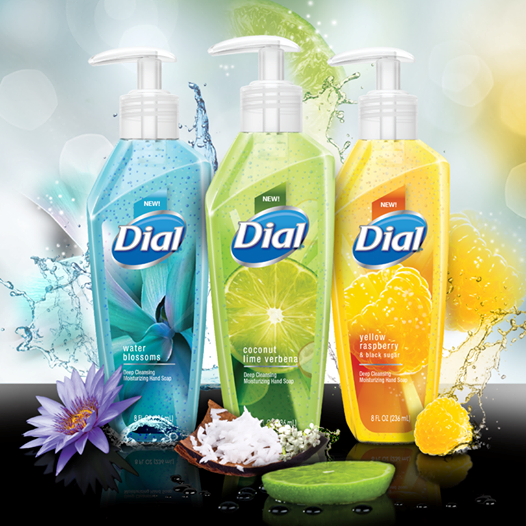 My favorite DIal product is the coconut waters bodywash! All of the scents sound nice. The scent I'd like to try first is the Water Blossoms scent. We love Dial products. 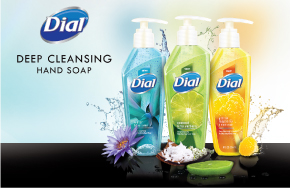 My husband likes the scent of Dial Bar Soap. I would like to try one of their Body Washes. I've tried a lot of Dial's body washes. There are still a few more I'd like to try though. I'd really like to try the triple moisture body wash. I think I'd like to try the water blossoms scented soap first. I was in the store yesterday and just had to give them all a little sniff to check it out. I loved them all! I think I will like Yellow Raspberry & Black Sugar scent the most. Sounds yummy anyway. The first scent I would try is the coconut lime verbena. All the scents sound wonderful, but first I would love to try the Yellow Raspberry and Black Sugar scent. I learned that Dial's Vitamin Boost wash is lotion infused and actually helps to draw moisture into the skin. I learned that they have a variety of antibacterial hand soaps, different types of body washes and bar soaps! I really like all of the new scents they have. Id like to try the new coconut lime verbena! I want to try the natural radiance white tea and vitamin e body wash.
FroYo with Yogurt Proteins, cooling Body Wash sounds devine! Even if I don't win, I'll be going out and trying this! the scent I would love to try is the coconut lime verbana. I love it in pretty much every other brand, so yummy!